We are located off of Memorial Road on Lincoln Blvd. Lincoln Blvd is Between the Broadway extension and Santa Fe. From Memorial Rd. 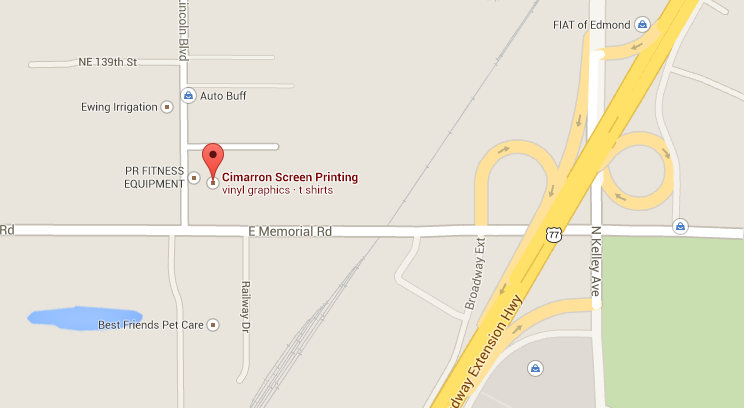 turn onto Lincoln, our building is just north of the Goodyear Tire center, and East of Enterprise Rental Car. Look for our sign by the road on Lincoln Blvd!